The Twins and Phillies on Tuesday officially announced their new joint venture: an $18 million complex housing their Dominican Republic Baseball Academy. 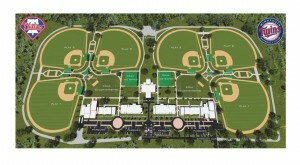 It will allow prospects from both teams to live and train at the 85,000-square foot complex — an under-one-roof approach that the organizations are hoping helps with development across many fronts. Several potential key members of the 2017 Twins, including Miguel Sano, Ervin Santana and Jorge Polanco, are natives of the Dominican Republic. None of them had the kind of dedicated space the new academy will offer. 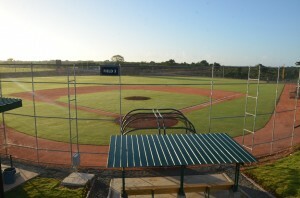 The complex features six full-sized fields (an example of one is pictured above, courtesy of the Twins), batting cages, a weight room, training room and classrooms, in addition to dormitory space for up to 78 prospects. 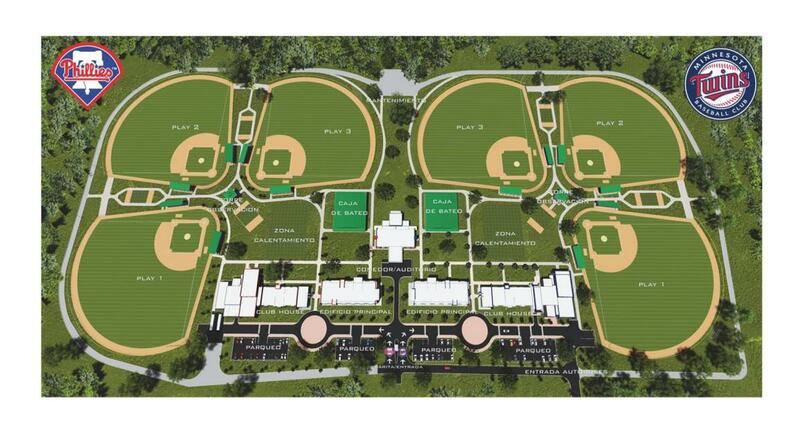 See below (and click to enlarge) for a full look at the layout of the new academy. Is it safe to go 'all-in' on the Wild?